April 4, 2019 April 4, 2019 Inderjeet2 Comments on Kalank Trailer Review/Reaction: This trailer seems dim after blockbuster teaser and all the three chartbuster songs of Kalank. After teaser and three songs, finally Kalank’s trailer is out now. 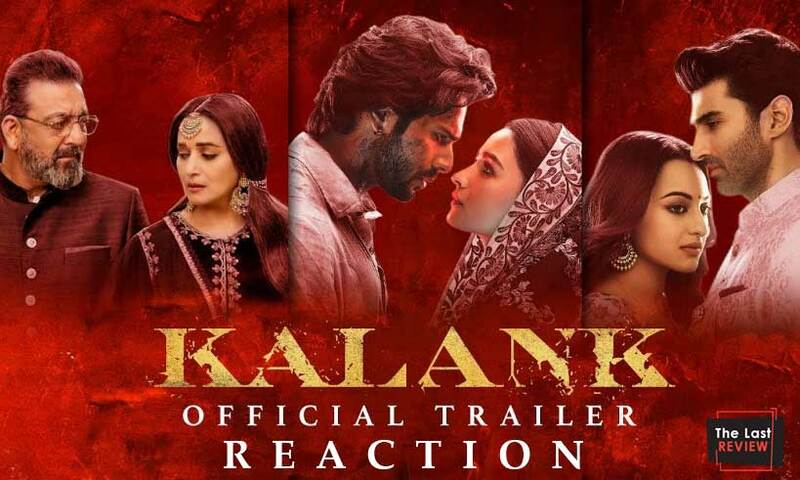 Kalank trailer unfolds few elements which audience were confused about. Roop (Alia Bhatt) is center of this Kalank circle as there is a dialogue in the trailer where Roop says “Mere ek faisle ne hum sab ki zindagiya tabaah kar di”. Dev Chaudhry (Aditya Roy Kapur) who is already married to her love Satya Chaudhry (Sonakshi Sinha) had to make second marriage with Roop. Roop and Zafar (Varun Dhawan) are already in love with each other which we have seen in the title track of Kalank. But Balraj Chaudhry (Sanjay Dutt) doesn’t want Zafar to marry with Roop instead he is getting Dev and Roops’ marriage done forcefully. But Bahaar Begum and Balraj Chaudhry’s relation is still mysterious but there is definitely something fisheries between them. So guys this is all Kalank trailer is all about along with large scale canvases, extra ordinary camera work, awesome tunes by Pritam and this big budget star cast. Apart from production designing, music, big faces and camera work there is nothing in the Kalank trailer which attracts you. 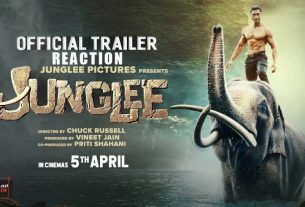 I personally dint like the trailer even upto the mark but its teaser and all the three songs are bigger and more entertaining than trailer. Dialogues in the trailer are weaker than those two heavy dialogues used in the teaser. its only two weeks in the Kalank to release and audience dint like the trailer than teaser and songs. But I really pray that Kalank should remain out of the segment of Zero, Race 3 and TOH. Kalank is going to hit the screens on 17th April (Wednesday) and holds the 5 days extended weekend now let’s see how far it goes? So guys how did you like Kalank trailer and how much do you rate it out of 5? stay tuned for further updates about Kalank and latest Bollywood movies.